As the prospect of self-driving cars on UK roads gets closer, the Association of British Insurers (ABI) has outlined a list of minimum criteria that a car must meet before it is deemed to be autonomous. The list comes as a response to The Automated and Electric Vehicles Bill set out last month, part of which deals with the implications for insurers over the liability of autonomous vehicles – something that has previously been seen to hinder their development. The ABI had previously warned that confusion over responsibility in the case of an accident could leave drivers’ insurance void and with the first fully autonomous cars expected to hit UK roads as early as 2021 is urging the government to overhaul laws to ensure all parties are covered. 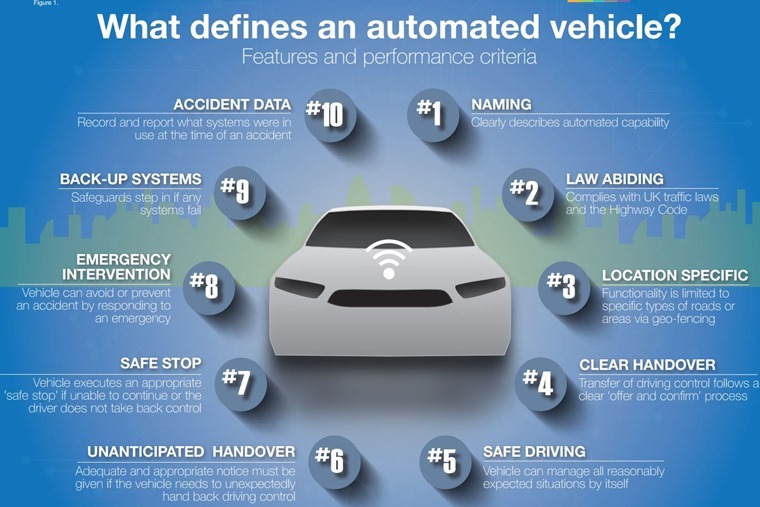 Read more: SAE automation ratings: What does a driverless car actually mean? 10. Accident data: record and report what systems were in use at the time of an accident. Transport secretary Chris Grayling has confirmed that future policies must cover injuries to all parties where an automated vehicle is involved. While it welcomed the clarification, Thatcham Research has urged the government to speed up the Automated and Electric Vehicles Bill, arguing that cars that are purportedly autonomous may lead to confusion. In response, Grayling said that the government was taking time to assess how autonomous cars will develop because it is not fully understood how tech will develop; not an unfair comment considering the vast and varying approaches towards autonomous tech that manufacturers are pursuing. Ben Howarth, senior policy adviser for Motor and Liability at the Association of British Insurers, said: “There is the potential for confusion […] when people could wrongly think their vehicles can be left alone to manage a journey independently. 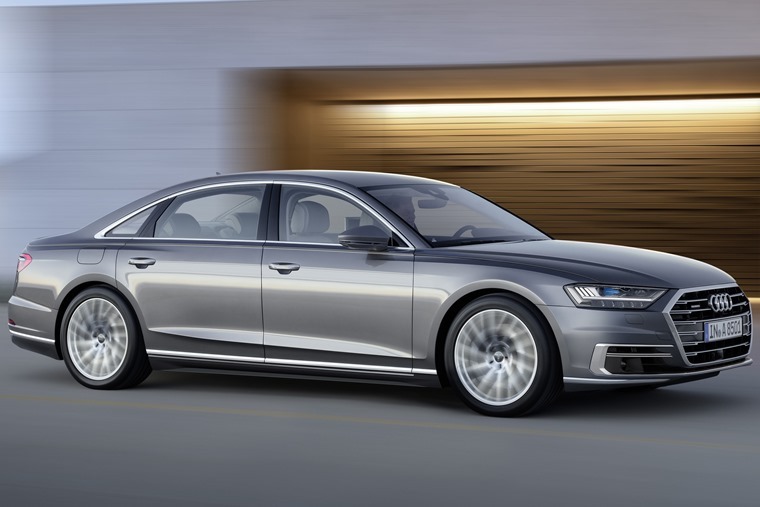 The upcoming Audi A8 (above) is about as close as things get to a fully self-driving car at the moment, and has been classed by engineers as capable of Level 3 autonomy, according to the SAE classifications, but would it meet the insurers’ criteria? Matthew Avery, Thatcham Research commented: “It is crucial […] that there is a clear definition of what constitutes an automated vehicle. 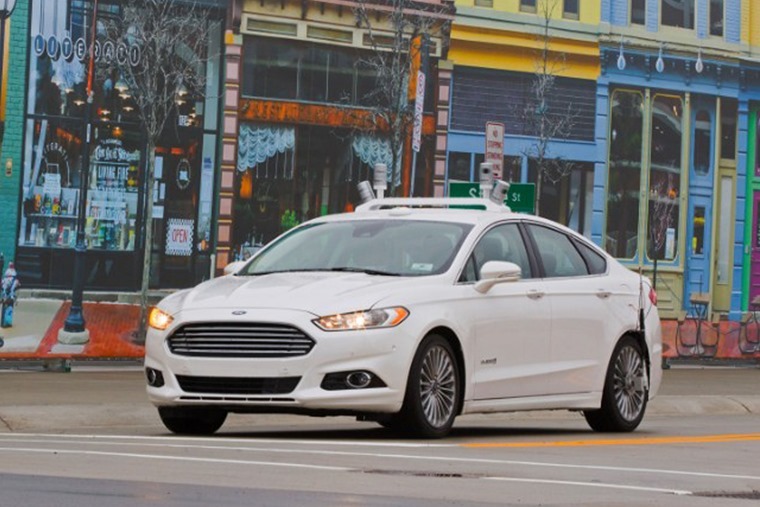 Regulators and insurers require this to classify and insure vehicles appropriately, while consumers need to understand the functionality and capability of the vehicle and their own responsibilities.